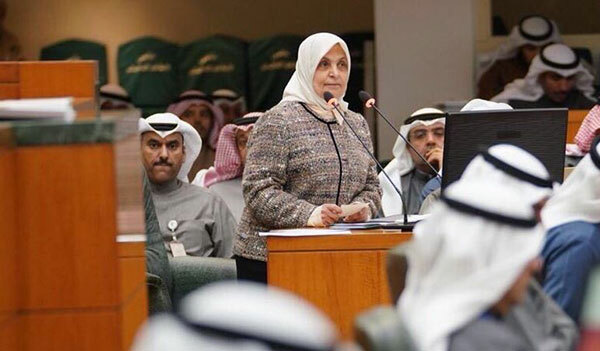 KUWAIT CITY, Jan 23: Ten lawmakers on Tuesday filed a no-confidence motion against Minister of Social Affairs and Labor and State Minister for Economic Affairs Hind Al-Sabeeh. 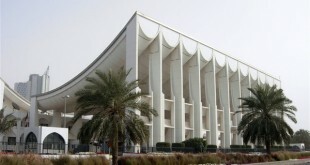 Parliament Speaker Marzouq Al-Ghanim confirmed receiving the no-confidence motion. He pointed out that Article 102 of the Constitution and Article 144 of parliamentary bylaws state that the Parliament cannot issue a decision on the motion seven days after submission. Therefore, the Parliament will vote on the motion in a special session slated for Jan 31, 2018. 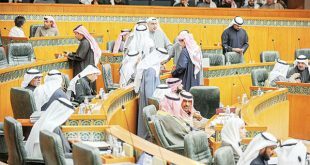 He revealed the lawmakers who filed the motion include Al-Humaidi Al-Subaiei, Mubarak Al-Hajraf, Khalid Al-Otaibi, Abdullah Fahad, Adel Al-Damkhi, Shuaib Al-Muwaizri, Abdul- Kareen Al-Kandari, Mohammed Hayef, Nayef Al-Mirdas and Saleh Ashour. During the grilling, Al-Sabeeh reiterated that she remains committed to implementing provisions of the Constitution in order to protect rights and public money, stressing the MPs have the right to use their constitutional tools. “I would like to emphasize that I have no political rivalry with the lawmakers who presented the grilling request. All of us are working with the same primary goal — safeguarding interests of the public and the nation,” she clarified. 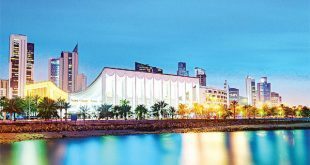 On cutting off social aid for Kuwaitis, she said the ministry is keen on carrying out legal, humanitarian and moral procedures to ensure that aid is granted only to those who deserve it in a bid to protect public funds. She pointed out the Social Assistance Law issued by the Parliament is “clear and explicit,” explaining the minister of social affairs and labor has no authority to stop disbursement of aid as this is in the hands of a special committee. 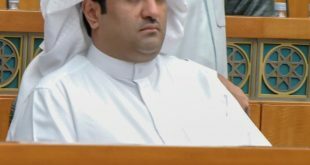 “I cannot deprive anyone of social benefits which actually increased during my term (2014 to 2017) from KD 60 million to KD 274 million,” she said in response to the question on cutting off social aid for citizens. She added the lawmakers who grilled her cited Article 11 of the Constitution: “The State ensures aid for citizens in old age, sickness, or inability to work. 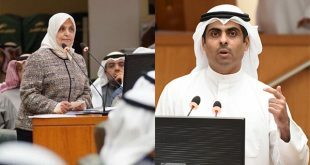 It also provides services like social security, social aid and medical care.” She confirmed that the minister of social affairs and labor is keen on enforcing the law and taking action on the comments of the State Audit Bureau, indicating files related to debts of divorced women were resolved after receiving comments of the bureau in this regard. She explained the number of cases excluded from social aid like the families of divorced women and prisoners has been reduced as the ministry applied the Social Assistance Law on them. Article Two of the law states that its provisions are applicable to Kuwaiti families and women who support their children. Article 35 of the law states the minister may decide to pay social assistance upon the recommendation of the concerned committee. 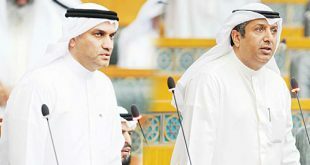 On the other hand, MP Khaled Al-Otaibi argued that since the appointment of Al-Sabeeh, many expatriate consultants who receive high salaries have been appointed; while several Kuwaitis with high academic qualifications are jobless. 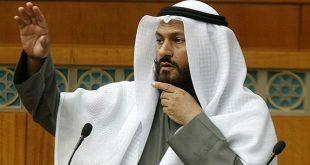 He accused Al-Sabeeh of disregarding articles of the Constitution, pointing out the minister did not take parliamentary questions seriously and even described them as unconstitutional.